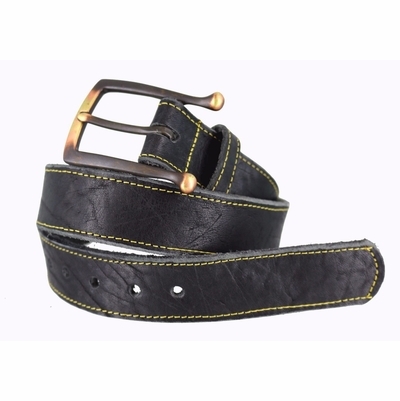 Brand New Men's Black "Bull Hide" Leather Belt made from one solid length Genuine Bull Hide natural texture. Our belts are measured from where the leather ends at the buckle end to the middle hole at the tip end. Hand Made in California.